We specialise in Leavers custom style clothing and bags, with the flexibility to mix and match styles to suit all needs, No Set Up Charge and our range starts from 5 year old's. Our ordering process is streamlined to make it a student, teacher and parent friendly experience, with options to order in bulk or allow everyone in your group to order individually. Talk to our team to help set up your design or just use one of our pre-set layouts. 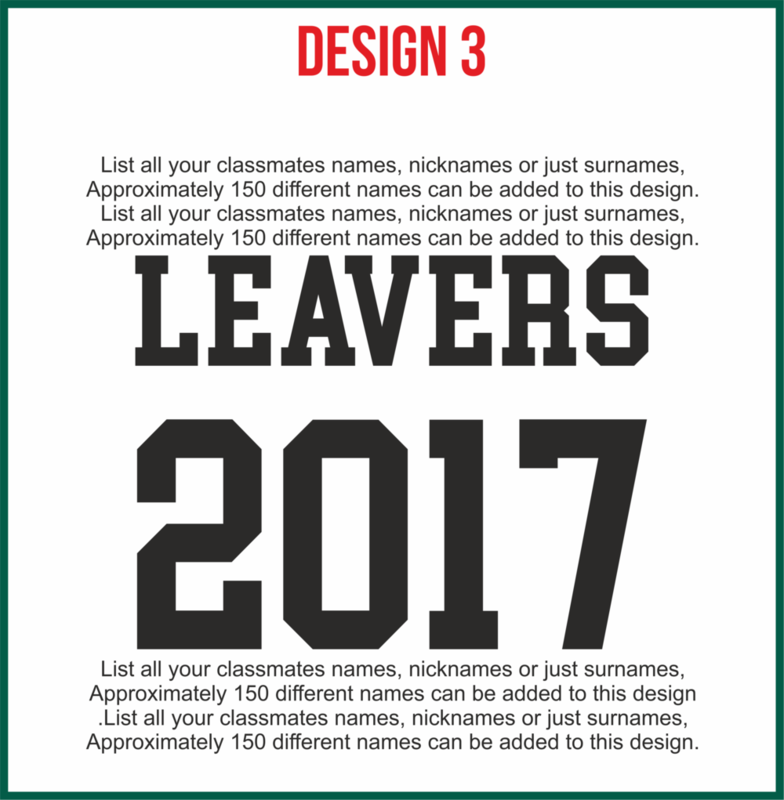 Shop our range of Leavers clothing, select the colour, size and use our standard pre-set layouts from our design library or upload your own custom design.